Anyone in charge of keeping a home clean knows that the idea of “Spring Cleaning” ignores the work that happens every day of the year to maintain a healthy, happy home. But, tradition is tradition. 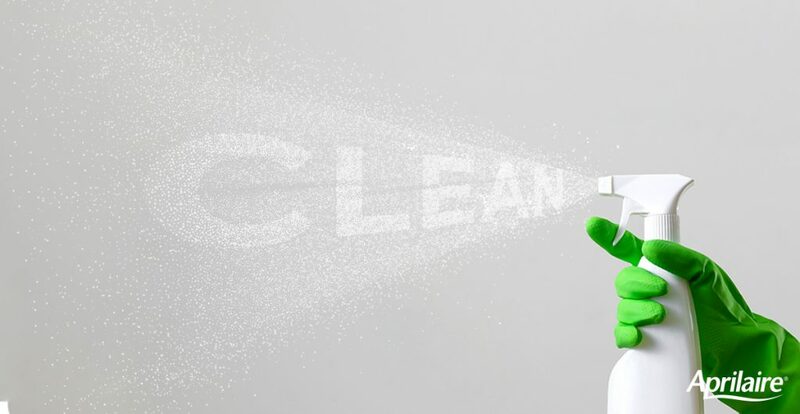 So let’s talk Spring Cleaning! Dust is the classic sign of a dirty home. It collects just about anywhere (even where we can’t see it), which makes it tempting to just wipe it away with a feather duster, dry cloth, or even your hand. The problem with these methods is that they kick up dust into the air, which can lead to sneezing or even serious asthma effects. So instead of the stopgap, dry dusting methods, try a vacuum cleaner with detail attachments or use a non-toxic, spray-on cleaner that you can use on woodwork, countertops, and furniture. Then you can properly dispose of the dust by emptying the vacuum cleaner or washing the wet dusting cloth. Some household cleaners have been around for generations, and it’s easy to think they’re as safe as they are effective. But the truth is that some common cleaners (old and new) contain chemicals that are harmful to you, your family, and your pets. According to a study conducted by the Environmental Working Group, 53 percent of cleaning products they reviewed had lung-harming ingredients. And well-known carcinogens like formaldehyde and chloroform were found in several of those cleaners. These chemicals are especially dangerous when they get into the air where you can breathe them in. And when they come in spray bottles and aerosol cans, it can be pretty easy to be exposed while you’re cleaning your bathtub, kitchen sink, and windows. Thankfully, there are many alternatives to those harmful cleaners. Most stores carry natural solutions that clean up just as well as the chemicals without adding a danger to your home. In fact, some common household items like lemon juice, vinegar, baking soda, and cooking oil can effectively clean many areas when used correctly. So how do you prevent spring cleaning from turning into an airborne hazard for your family? You could keep the windows open while you clean, but more likely than not it will be too hot outside or allergen levels will be too. Your next option is an air purifier, which exists as whole-home purifiers or single room, portable purifiers. Find one that works for you and your family, and you can enjoy the benefits of fresh indoor air after Spring Cleaning and (better yet) all year long. Next Next post: Do you live in an allergy “capital?” Here’s how to cope!